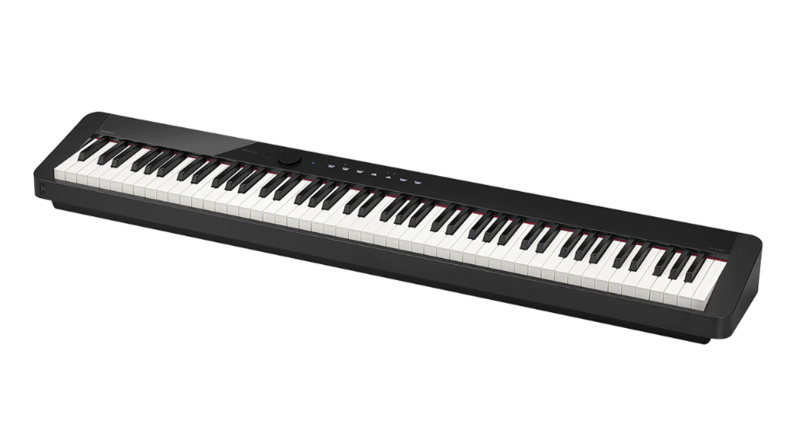 A new Privia piano experience, evolved in both style and sound. Making the most of Casio’s compact construction technologies, the new Privia is significantly slimmer (20% slimmer depth than the previous model). The wedge-shaped case side highlights the slim design. Sympathetic string resonance exposes the harmonic relationships between vibrating strings, while damper resonance simulates the string release when the damper pedal is depressed. You’ll even hear mechanical key sounds when playing with an exceptionally light touch or by removing a finger from a key, just like playing a real grand piano.